Grandpa Joe's town has always been controlled by the enemy, who walks openly among them. Yet, Max has always felt safer there than anywhere else. Until now that is. A perfect killer is on the loose. One that not only destroys a person's body, but steals their soul. Kacha, the changeling, has unlocked the secrets of the ancient magical book and is building a new hourglass and gateway. 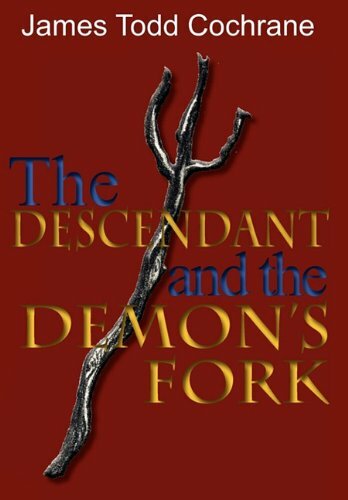 He discovers how to construct a powerful weapon called "The Demon's Fork," which allows him to capture the souls of everyone in the entire town, all at once. Kacha uses this curse on Grandpa's town to distract Max and the others so he can complete his ultimate goal of capturing descendants of magical ancestry to fill his hourglass. The hunt for Kacha leads Max and his friends on a dangerous quest as they try to capture Kacha before he is able to complete his evil plans. Secrecy will be the key to avoid an even deadlier situation. Publisher Dark Moon Publishing Inc.